The first of our occasional delvings into the whisky vaults, where chief engineer Dave Broom assesses rare and much sought-after bottlings from years gone by – starting with a mothballed Speysider and a couple of cult island bottlings. 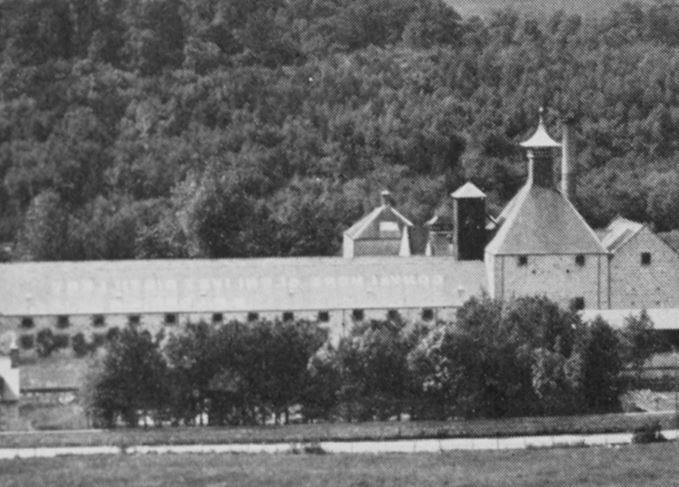 Built in the late Victorian era, Convalmore was the fourth of Dufftown’s famed seven stills. Its spirit had a strongly fruity character, alongside a pronounced waxiness – similar to Clynelish, according to those with long memories. 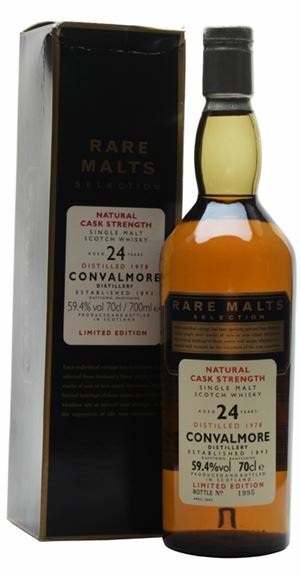 After a life dedicated to providing fillings for blends, Convalmore was mothballed in 1985, but lives on in just a few single malt bottlings, including this Rare Malts Selection – distilled in 1978 and bottled in 2003 – and two Special Releases expressions. 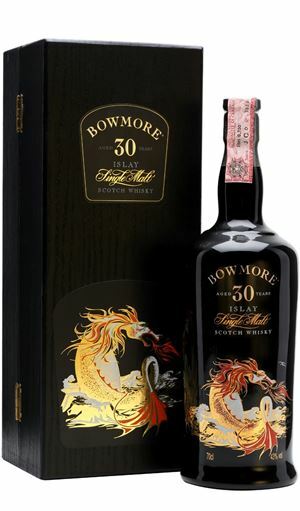 Bowmore’s ‘Sea Dragon’ 30-year-old bottling appeared in the mid-1990s and has acquired an almost mythical status over the past 20 years, partly for the decorative beast that adorns the bottle and case – but mostly because of its marriage of well-aged casks from legendary 1960s vintages. It remains one of the Islay distillery’s best-loved bottlings. 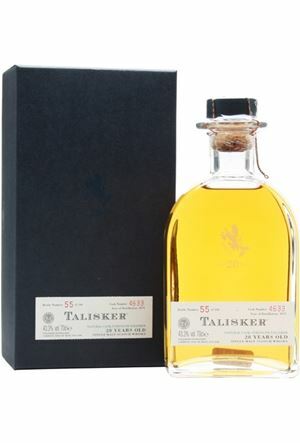 When this Talisker 28-year-old bottling was first launched through UK retailer Oddbins in 2002, it came from the oldest casks at the Isle of Skye distillery. Only 100 bottles were released, and they sold out within hours at £600 each. Expect to pay six or seven times that amount if you can find a bottle today. Pale gold in colour. Clean and fruity with plenty of the distillery’s waxiness and a little touch of smoke. A brief hint of meatiness. Though slightly hot when neat, as it opens there’s some sherbert lemon and a little hit of soapiness. As it continues to develop, some bleached wood. When a drop of water is added it becomes like Victoria sponge cake mix. Full, decidedly waxy, and thick on the tongue. It is high-strength though, so does need the water, which brings a certain coherence to proceedings. Now there is waxed paper, and soft, unctuous fruits. It does fade quickly in the glass though. Could be easily confused for a low-peated Brora. A gentle, soft dram. A sepia-toned memory. A child carrying his father’s sandwiches to work. Lustrous amber. As you’d expect from an old Bowmore, there’s a mix of smoke and fruit, but here the effect is like hallucinating salted mango, brined peaches, pickled passion fruit, peat fires, banana, waxiness and a little hint of vanilla. The maritime-accented smoke pulses out as the fruit recedes. Water mutes the effect. Leave it on the side. Chewy and waxy – so typical of these old whiskies with very gentle, heathery, almost floral smoke. The mid-palate is thick and unctuous with the smoke almost hidden behind the assault of fruit. Becomes really fresh and zesty on the back palate. Amazing length and a lovely touch of hot embers on the finish. Savoury and acidic – wild garlic and sorrel – then drying peat fire. Complex, contradictory, inspirational and frustrating – where are the whiskies like this these days? Find it and savour. Lunch at Noma. Unlikely combinations of flavours coming at you from all directions – smoke, salt, fruit. Your perspective shifts. I remember the days when Nick Blacknell ran Oddbins’ spirit division. I also remember drinking most of the bottlings, so this is an old friend from an old friend. Light gold in colour, the nose has all of Talisker’s contrariwise characters: baked earth, smoke, soaking bacalao, but also William pear, Elastoplast and, with water, a weird mix of a sheep fank and fish oil. Go figure! Clean and quite light with a really sweet centre and a big, fat and oily mid-palate which, in turn, is balanced by the dry edge given by the smoke. It saves the best for last when there’s a burst of hyacinth, lilac, sea salt and sweet fruits. Peppery (Turkish pepper flakes, to be precise). In fact, this is as peppery a Talisker as I can recall. Not as all-enveloping as the superlative 25-year-old OB, but a fascinating bottling. Oh, that High Street retailers were still able to do this! Lunch at Three Chimneys – local produce laid out in front of you. Rare Batch 2 08/12/2015 Three cracking whiskies here – if you can find them – from Glenury Royal, Caol Ila and Glen Grant.